A Bedazzled [kind of] Life: 47. Oh hey, we're in Las Vegas...what the hell, let's get married. 47. Oh hey, we're in Las Vegas...what the hell, let's get married. I'm leaving for Las Vegas tomorrow. I've never been and I got to be honest, I'm super stoked to go. My parents have gone fifteen years in a row, a lot of friends have been there...it's our time to have fun some fun. In a way, I'm sort of relieved that I'm going after we're already married...because had we gone during the craziness of our wedding planning...we probably would have just done it. So in the hopes of wedding bliss...I so hope we run into a couple choosing to just say "what the hell, let's get married tonight." We've all seen the Hangover and What Happens in Vegas...and every single movie out there that features people getting drunk and getting married...but in all seriousness, for the off-the-beat couple, there are plenty of options of fabulous Las Vegas...to make tying the knot much more interesting. A person who goes out there to get married (or happens to end up getting married) truly has an immense amount of options. 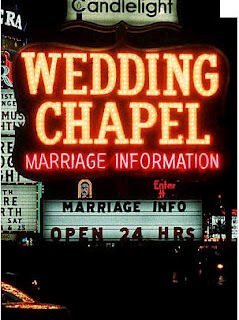 What I've discovered in my searching is that Vegas.com/weddings - is the best place to start. 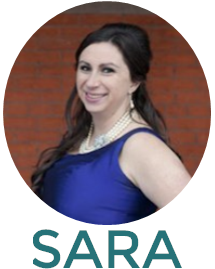 It not only provides information on Las Vegas itself, but gives you a variety of links to go to from there to figure out the best Las Vegas wedding for YOU. 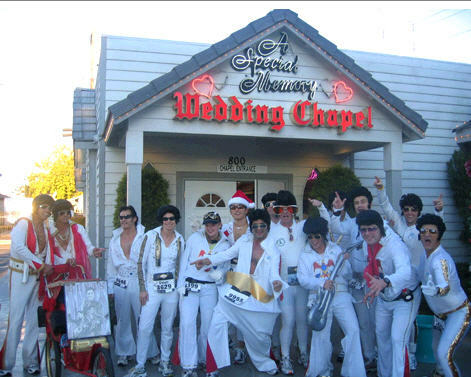 Personally, when we started planning our wedding I actually threw this idea out there...jump on a plane, stay at The Palms, have someone dressed like Elvis marry us and then the reception at the Bellagio. But you know, you get over that...plus, I still loved our wedding . I hope we see this group of people, I think that would complete my life. Okay readers, would you ever hop a plane to Las Vegas and just say the hell with all this planning, let's get married tonight! Let's hear what you have to say.